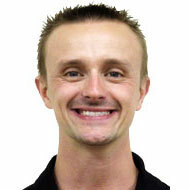 ← Boardmaker Online – Jump on board! Luckily Google makes it super easy to collaborate by offering on documents, spreadsheets and more in Google Drive. These tools save you from extra work, resources, and valuable time, by facilitating easier, faster, real-time collaboration. Creating a document and sharing it with your colleagues means several people may be making changes. The problem with traditional desktop software is that if 4 people make edits to the document you send, you will receive 4 different copies of the document back. Combining all of the changes back into one document is time consuming at best. While most word processing software allows you to track changes, Google Docs will allow to share the same document with multiple people and review all changes that have been made. Each user will be assigned a different color so that you can see who made what change, and revert back to the original content if needed. To view the revision history in Google Docs, Sheets or Slides, simply open the file and click File – See Revision History. A column will appear on the right hand side of the file allowing you to review the revision history. Comments provide an easy way to ask questions, provide feedback, link to information, and more in a Google Document. To use, highlight a word or section of text you want to comment on. Then simply click the comment icon on the toolbar. A comment box will appear on the right side of the file. Two things I really like about using comments in Google Docs and other applications is that the comment box becomes a threaded discussion as more people comment on the same section of text selected. I also like the ability to tag people within a comment to alert them that you need their input. Do this by simply typing a plus sign followed by their Google ID (see image below). One of the most powerful tools for collaboration in Google is the ability to set a file as viewable, comment only, or editable. Let’s say you’ve created a draft of a new policy and want to share with others for feedback. You may not want to give edit privileges to everyone, so instead you could share with “comment only” permissions. This means that people can comment, but not change the original doc. Similarly you can share the final version as “view only” so no changes or comments can be made. 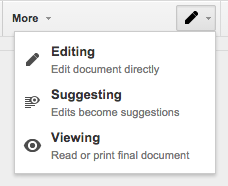 You can also switch to “Suggesting” mode at any time when collaborating on a document. For example, if a colleague shares a blog post with me and asks for feedback I can switch from “Editing” mode to “Suggesting” mode by clicking the drop down menu on the right side of the toolbar and choosing “Suggesting” (see image). This allows me to make edits where I feel appropriate and my colleague can approve or deny as needed. I find this much easier than combing through a revision history trying to see what changes are made and if I want to keep them. 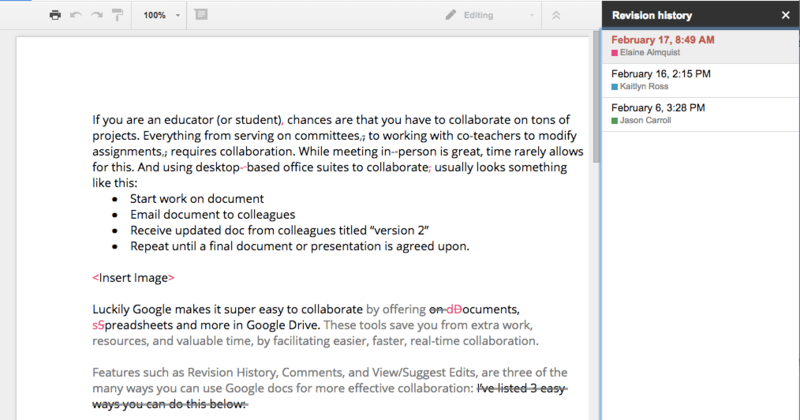 So those are my 3 tips for better collaboration in Google Docs (or Sheets, or Slides). Have you used these tips to increase collaboration at your school? Or do you have additional tips that you recommend? Please share them in the discussion below!